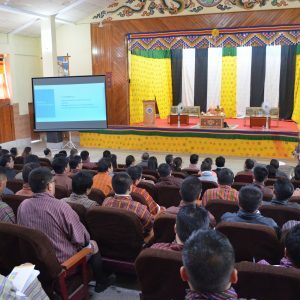 Samtse College of Education – \"A center of excellence committed to research and innovation in Education\"
Samtse College of Education was founded by Bhutan’s Third Dharma King His Late Majesty Jigme Dorji Wangchuk. Launched as a Teacher Training Institute on 29th May 1968, the institute commenced its educational journey with only 41 students and a few teacher educators. 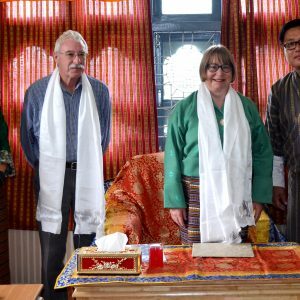 Since its establishment the College has given the country’s education system over 5000 graduates with primary teaching certificate, bachelors, diploma, postgraduate diploma, and Masters qualifications. The rich and varied learning experiences we offer our students are inspired by our philosophical commitment to the wisdom of right View, right Contemplation and right Action which collectively can cause the arising of the right Result. The College values wholesome development of students and organizes a number of sporting activities to help them improve and maintain their physical health and wellbeing. 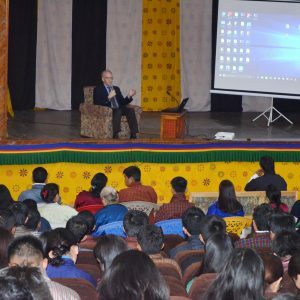 SCE provides its students rich and varied experience of Bhutanese culture and heritage, including its art, music and dance. SCE offers a rich experience of books on campus. At Peling Books, students can buy a wide variety of books including fiction, nonfiction, children's literature, sport and recreation, Buddhism, and a host of other subjects. SCE provides on-campus printing and binding facilities.